Ever wanted to use your phone as a glass cockpit? With GlassEFIS you can. Using advanced sensor fusion and filtering techniques GlassEFIS offers an exceptionally accurate EFIS display using onboard sensor and GPS data. GlassEFIS delivers one of the most realistic attitude and altitude realtime displays available for your mobile device. 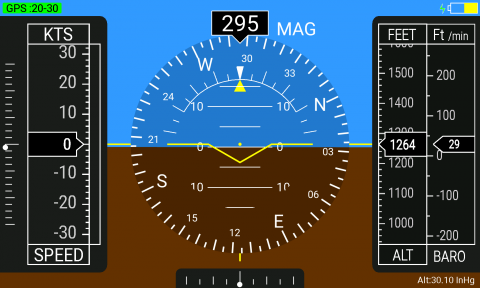 On supported devices with a magnetometer and pressure transducer, GlassEFIS can measure static atmospheric pressure and magnetic heading compensated with actual airport barometric pressure and magnetic variation for your geographic area to indicate your altitude, vertical speed and magnetic heading. Using the mobile device's onboard gyro and accelerometer, GlassEFIS provides optimized yaw, pitch and roll indication in a highly readable and concise EFIS interface. Additionally, the user can select either the onboard sensors or the GPS to offer the optimal performance for a given situation. 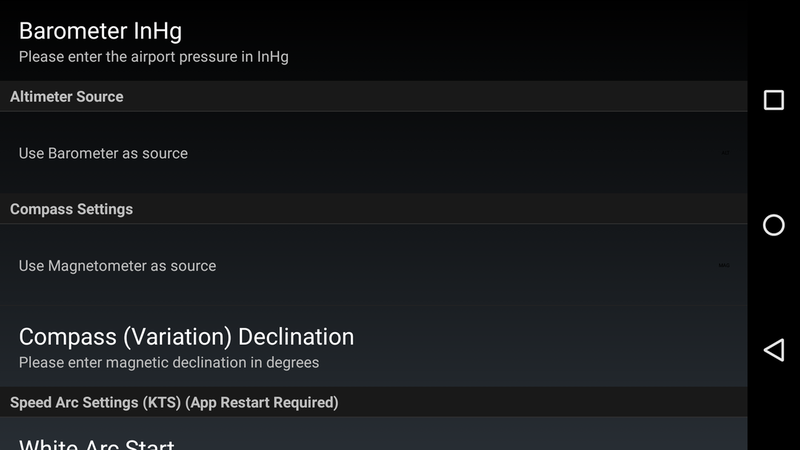 A configuration screen enables the user to specify airport barometric pressure, altimeter source as either the barometric pressure sensor or GPS, compass settings to use either the magnetometer or GPS as a source and lastly the compass magnetic declination.